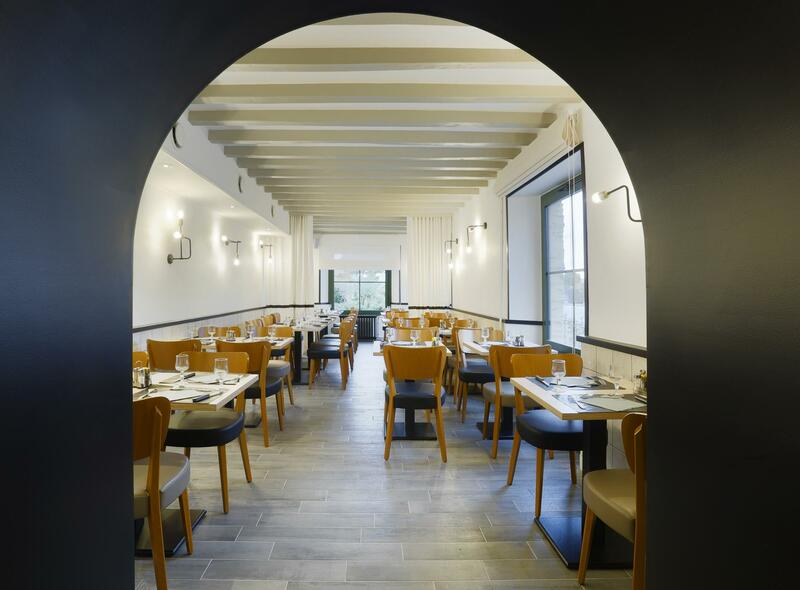 In a completely redesigned posting house, the brasserie of the Moulin Cavier Domaine near Angers proposes varied cuisine. A la carte and fixed price menus, a wide selection of home-cooked produce cooked (fish, meat, large single dishes, sandwiches, seasonal dishes, pizzas, buckwheat pancakes ...) which will seduce the whole family. 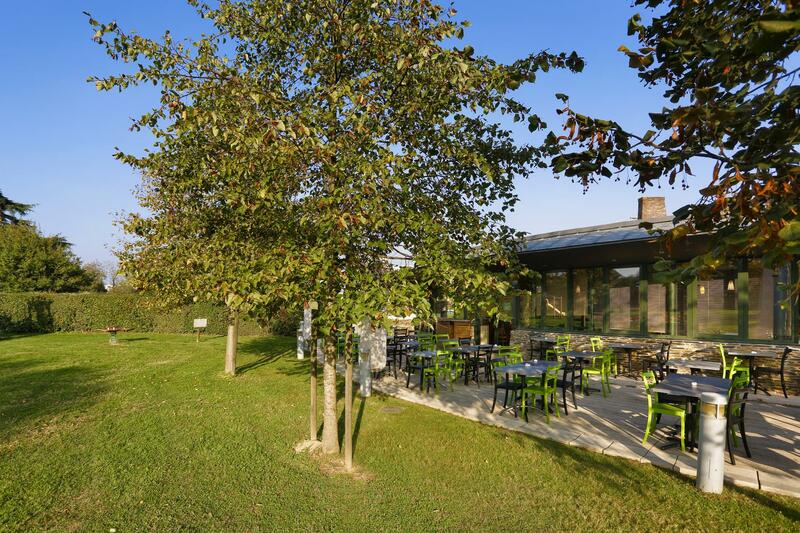 In the summer, the large terrace with its breathtaking view of the mill is the perfect place to enjoy a meal in the sun while the children enjoy the playground dedicated to them. 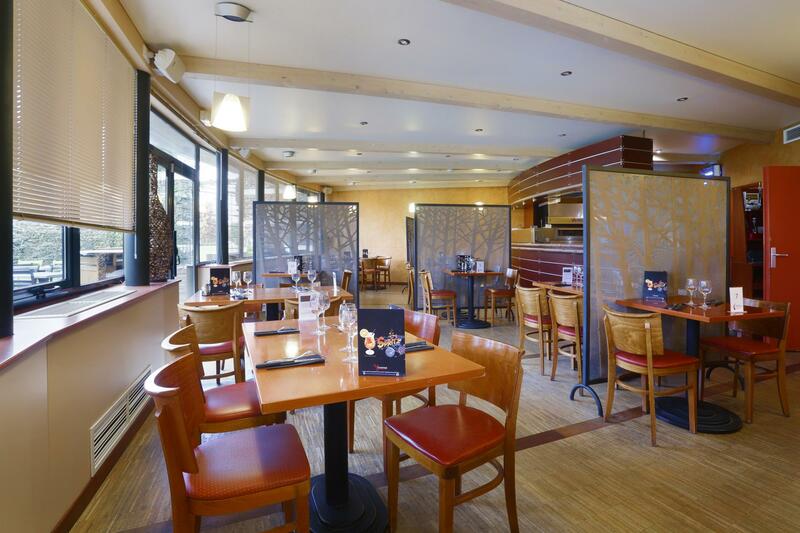 The littlee extras of the le Croix Cadeau brasserie: its large capacity, together with its three rooms that can receive groups passing through our region bas well as private parties and business meetings. Do not hesitate to contact us, we adapt our offer to your needs and budget.